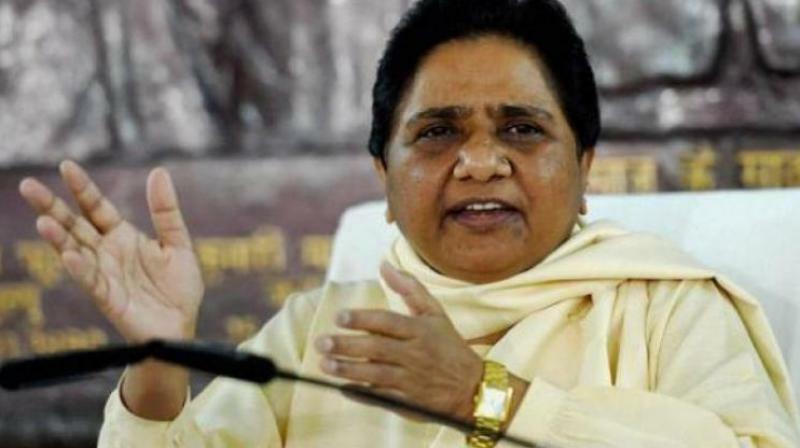 Lucknow: Bahujan Samaj Party (BSP) supremo Mayawati on Monday hit out at BJP leaders Maneka Gandhi and Yogi Adityanath over their recent comments and said this "anti-people attitude" of the BJP needs to be defeated in the Lok Sabha elections. "After Union Minister Maneka Gandhi threatened the voters, now the Uttar Pradesh Chief Minister has given an open warning of 'living unemployed for the lifetime' on being shown black flags and banners during his meetings. This is not only BJP's arrogance but it is an anti-people attitude which needs to be defeated in the elections," she tweeted in Hindi. Despite having received a notice by the Election Commission for making speeches which allegedly violated the Model Code of Conduct, Adityanath on Sunday said: “Those who did not recognise Shri Ram and Shri Krishna are now coming to the shelter of Bajrang Bali. Even Mayawati is showing faith in Bajrang Bali now." On April 12, Maneka had said that her win from the Sultanpur Lok Sabha constituency is certain "with or without" the support of the Muslims and the community should realise it since they will need to get their work done once BJP is in power.